Claire Hungate, Chief Executive Officer, Brave Bison, commented: “2018 is on track to be a year of real progress, which we expect to be reflected in an improved financial performance when we announce our results. Revenues are growing, our full-year EBITDA3 will be positive for the first time since the Group came to market and we expect to be cash flow positive. 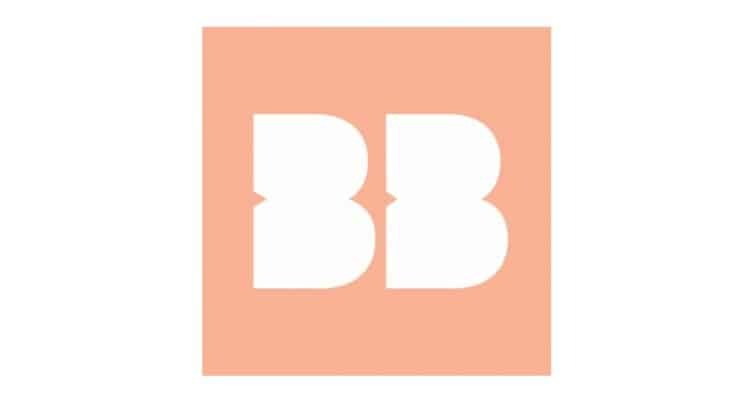 Brave Bison Group plc (AIM: BBSN), the social video company, is pleased to provide a trading and operational update. The Group expects to announce its final results for the year ended 31 December 2018 on 27 March 2019. The Board is pleased to announce that trading for the financial year ending 31 December 2018 is ahead of management expectations, driven by increased advertising and distribution revenues. Year-on-year revenues1 are forecast to deliver double-digit percentage growth and full-year adjusted EBITDA2 is expected to be positive for the first time since the Group was admitted to AIM in 2013. At 30 November 2018, the Group had £5.1 million in cash and cash equivalents and no overdraft or other borrowings. The Group expects to be cash-flow positive for the year, despite investment in strategic initiatives. As outlined in the 2017 Annual Report, Brave Bison has formulated a clear growth strategy and has set about executing that strategy, focused on taking the Company to profitability by using its cash reserves to invest in potential organic growth areas, prioritising: 1) growing the Group’s Owned and Operated portfolio of multi-platform channel brands; 2) the ‘strategic partnerships’ model; 3) licensing its owned intellectual property to third parties (‘Distribution’); and 4) growing the APAC business. There has been significant progress in these areas, particularly in the Group’s Owned and Operated portfolio. Being one of the most viewed media and entertainment properties in digital publishing has changed the narrative for us. We own the biggest Facebook page in the world and together our network of 20 channels drives more views than LadBible and Unilad put together; this gives us scale and takes us straight into the lives of millions of consumers, every month. As a publisher reaching this many people, we set ourselves the task of giving something back, of creating content with purpose and in Mutha and Perk we have striven to do this. For us to be partnering with the UN on Mutha, our sustainability channel, is a huge testament to the importance of this mission of changing young people’s habits by inspiring and entertaining them. Our APAC operation continues to demonstrate creative ideation, execution and delivery, winning them repeat business and retained relationships with major household brands. Brave Bison was named by Tubular Labs as the world’s second-biggest digital media publisher for views in October 2018. Brave Bison’s network of 20 owned and operated channels achieved 5.5 billion views during the month which, based on Facebook views alone, ranked Brave Bison number one in the leaderboard. The leader was WarnerMedia, with 500 creators, and Brave Bison sat ahead of The Walt Disney Company and The LADbible Group. In terms of creators, Viral Trnd (one of Brave Bison’s owned and operated channels) was the most viewed creator globally in October 2018, according to Tubular Labs, with just under 3 billion views – predominantly from Facebook. It has also been a strong second half of the year for the Group’s creator football business. Slash Football extended its relationship with Sky Q. Sky licensed content from the Gen Z fan-focused football channel, which will feature within the Online Video section of Sky’s ‘Sky Q’ platform. The business also entered into a two-year deal with energy provider Utilita for ‘front of shirt’ sponsorship of Rebel FC, the social influencer football team developed by Brave Bison in partnership with YouTube star Callum Airey (better known as Calfreezy). In August 2018, the business launched two new multi-platform channels, Mutha and Perk, helping brands connect with an audience of consumers, aged 16-34, on the themes of sustainability and conscious living through Mutha, and work and careers through Perk. Since the launch, Brave Bison has secured distribution deals with both Snapchat and recently with Dailymotion. During November 2018 the channels received over 20 million views on all platforms and had over 60,000 combined, cross-platform subscribers. In the Asia-Pacific (APAC) region, the business has grown its direct brand relationships and consolidated existing relationships, winning repeat business from P&G and ANA. It has also focused on developing new revenue lines, one such being distribution partnerships, which has included deals with Tencent and Oona in the OTT sector in APAC. Investment in social video content in the region is rising and Brave Bison is now well positioned to provide the content the many markets across the region are demanding. According to research by Media Partners Asia, the Asia Pacific online video industry is expected to more than double its share of video industry revenues ex-China from 9% in 2017 to 20% by 20234.